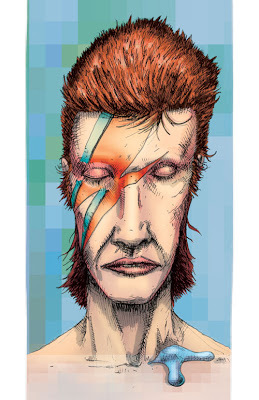 As promised her's the fully colored version of my Aladdin Sane album cover. I've created a store page and I'm offering 11x17 prints of this illustration for $15.00 with free shipping in the the US. I'll be making a lot of my illustration available in this format over the next few weeks so please check back. If you'd like a T-Shirt please head over to my RedBubble page and pick one up thanks.